Want to know how long Germans have been obsessed with making good beer? A very long time. 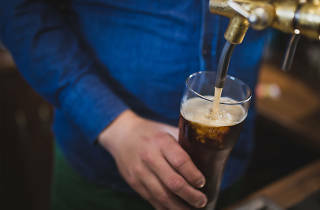 So long that they had a beer purity law – the Reinheitsgebot – in place for centuries before Captain Cook first laid eyes on Botany Bay, or the Lord Nelson – Sydney’s oldest brewery – ever fermented its first batch of beer. Bavaria’s Duke Wilhelm IV enacted the law 500 years ago this year, setting a beer-brewing standard for brewers creating quality drops across the globe. According to the BBC, as the world’s oldest consumer protection law “had three aims: to protect drinkers from high prices; to ban the use of wheat in beer so more bread could be made; and to stop unscrupulous brewers from adding dubious toxic and even hallucinogenic ingredients as preservatives or flavourings.” The original Bavarian law decreed beer could only be made with barley, hops and water, later amended to include yeast (when they realised what yeast was and its role in the beer-making process) and then further refined to read as it does today, replacing barley with malted grains more generally to give German brewers (just a little) more wiggle room. The law only legally applies to German brewers inside Germany but for the world’s beer-drinking public it’s been a boon, inspiring quality-obsessed modern brewers to keep ingredient lists short and clean, ditching endless additives. Operations like Alexandria’s Rocks Brewing Co aim to make as many of its brews as possible with “nothing but barley, hops, water and yeast”. And Sydney’s new craft beer label, the Crafty Bavarian, brewed by the Urban Craft Brewing Co, is not only following the spirit of the law, it’s making Bavarian-style brews created by a Bavarian-trained brewer using strains of Bavarian yeast to keep the final product as true as possible to the Bavarian recipes and traditions that inspire their beers. 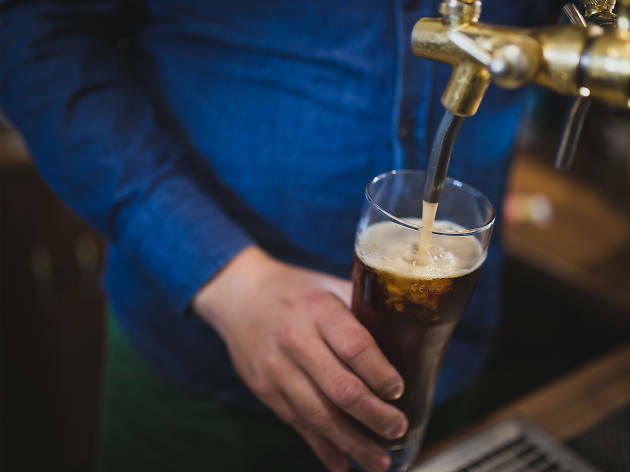 Plenty of Australia’s craft brewers use nothing but the four ingredients stipulated in the beer purity law for most of their craft brews without touting an allegiance to it, because it’s simply the centuries-old, tried-and-true way to make palate-pleasing ales and lagers. Although some Reinheitsgebot critics also call the law limiting it doesn’t seem to have limited the variety of beers or beer knowledge Germany invented, riffed on (like the Czech beer Pilsner) or exported, from lager to hefeweizen. Ever neck a 4 Pines Kolsch, Wayward Sour Puss Berliner Weisse, Crafty Bavarian Hop Dock Hefeweizen or a Nomad Freshie Salt & Pepper Gose on a balmy summer afternoon? All from the land of Oktoberfest. Red Oak Weizen Doppel Bock? German. As is the Sydney Brewery Darlo Dark, a deceptively dark lager that belies its lighter taste. If you’re tasting floral and spice flavours and you’re getting a distinct orange bouquet from your beer, it’s highly likely Amarillo hops got a look-in during the brewing process. Topaz is responsible for fruitier, resinous flavours. When applied later in the brewing process the forest and meadow flavours are dominant, but when Topaz hops are added in the earlier stages of brewing they provide a tropical (some say lychee) aroma. Ever thought you tasted passionfruit in your brew? That’s the Galaxy hops doing the thing they do best. They’ve been known to bring a little peach, and even citrusy aromas to the fruit party. Even though it’s an Australian hop (often referred to by the blanket New World hops label), Cascade is the bearer of those foresty, spicy and floral aromas you might find in an American Pale Ale. For gentle fruity flavours Summer hops are the way to go. Rather than the high acid tropical flavours, these hops impart a creamier fruit flavour like apricots and melons and put in their best performance when dry-hopped (late process addition). The distinct flavour of Czech pils and pilsners is largely thanks to Saaz hops. These are not your tropical pine party bouquet, but a more restrained, herbaceous quality without heavy bitterness. This newcomer to the Australian scene is light and fruity as well as clean and piney when dry-hopped. You can extract passionfruit and pineapple flavours and a herbal, resinous quality. Did you know that the Löwenbräu Keller, now known as Munich Brauhaus, has been serving Bavarian fare and tall beers in Sydney for 40 years? 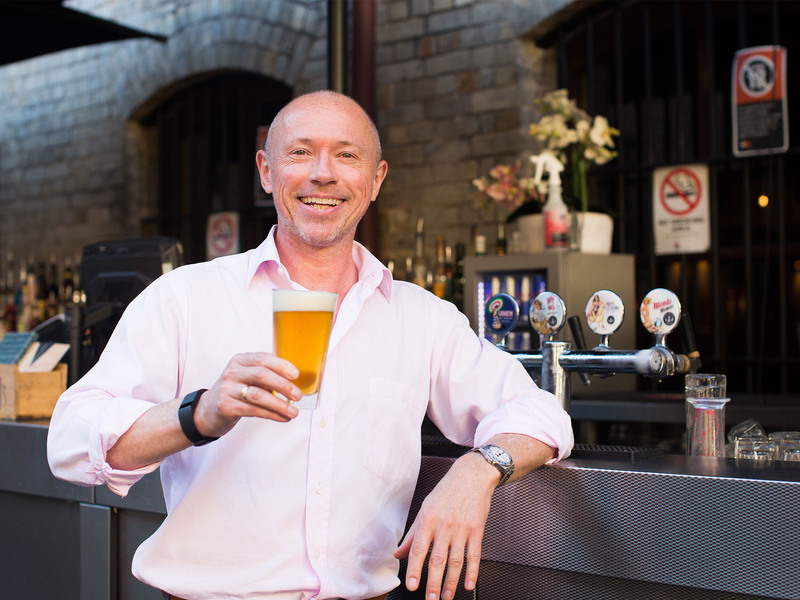 In the oftentimes-cutthroat Sydney hospitality scene that’s a near miracle, and Dom Dighton has been there for most of it. Dighton, 50, has been working for the Urban Purveyor Group (UPG) for 25 years, wending his way up from the cellars at Löwenbräu to become the General Manager Urban Beverage Operations, and the hospitality group’s resident beer professor.